This year’s National Postal Forum (NPF) is now history. I always enjoy the NPF for the opportunity to interact, not only with USPS executives, but also with vendors and customers. As in past Forums, we had good conversations this year in which we were able to share pain points with our friends from the Postal Service and begin to build mutually advantageous solutions. We were also able to celebrate the achievements and progress that’s been made in working toward common goals. In addition we appreciate our industry partners sharing with us what they have planned for the coming year, and how we can use the new tools they are building to better serve our mutual customers. The biggest change from previous events was in the exhibit hall, with software companies replacing equipment manufactures as the primary anchors. 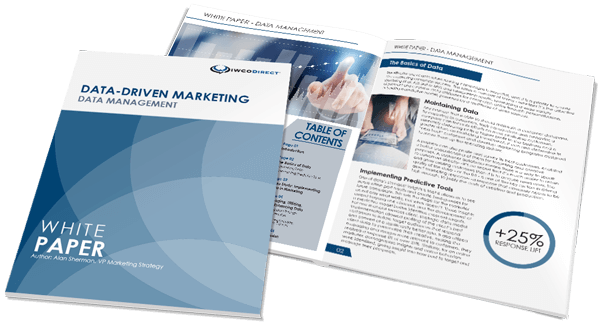 It really shows you how important data is to building and managing an effective direct mail program. I’m always impressed by how enthusiastically the mailing community engages with the educational opportunities at the NPF. The area of the conference center where educational sessions were held was always busy. The mix of topics covered was very eclectic – ranging from mailpiece design, to provisioning and effectively using mailing data, to using mail to market to Millennials. We were pleased to have the opportunity to share our knowledge with the broader postal community by presenting two sessions. On Sunday we offered lessons on “Enhancing Direct Mail Through Full-Service IMb Data” and on Monday we presented, “Self-Mailer Show and Tell – Keys to Effective Folded Self-Mailer Design.” We had solid attendance at both sessions and appreciate those who made time in their NPF schedules to learn more about using Intelligent Mail data to enhance mail programs and effective self-mailer design. This NPF promised to provide Information, Innovation and Inspiration, and it delivered, with a couple additional “I” words thrown in – Interaction and Insight. Now that we’re done sprinting around the convention center, it will be good to reflect on what we’ve learned and begin to apply it to what we do for our customers on a day-to-day basis. We hope see you all again at next year’s National Postal Forum May 17–20 in sunny Anaheim, CA!